“Today’s students will be competing for jobs with their peers from around the world. Academic institutions, therefore, will be challenged to deliver a 21st century education that will prepare all students for success in the new global workplace.” (United States of America Department of Education). 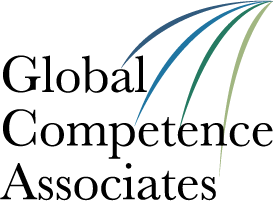 The Global Competence Aptitude Assessment (GCAA)®, recognized by the American Council on Education, is a widely accepted objective measure of these critical skills. 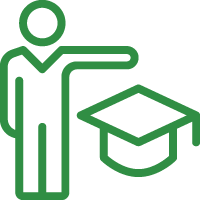 The GCAA® measures student readiness for the global workforce, as well as educators’ knowledge gaps, so that future generations of workers are globally competent. How do we develop global competence in K-12 students? It is best to begin laying a foundation of positive attitudes and a curiosity to learn about the world during the younger, primary school years. Early introduction also supports interest in subsequent global learning and understanding of the nuanced complexity of the world’s cultures. Such globalized content is typically introduced during the secondary school (high school) years in courses such as world history, geography, world cultures, and world religion appreciation. The best way to ensure that a foundation for global competence is being laid in young students is to ensure that their educators are globally competent for effective educational curriculum development and delivery. When does a person become a globally competent? As presented in the Global Competence Model™, the construct of “global competence” requires a complete and unique combination of attitudes, knowledge about major cultures around the world, and sophisticated interpersonal skills. While students in grades K-8 may have begun to develop their Internal Readiness, they are deficient in most, if not all, of External Readiness. While it is imperative to start the path towards global competence development in K-12 students, namely through globalized coursework, global competence will NOT be fully achieved at the commencement of secondary school (high school graduation). Secondary school students are only starting to develop the high order interpersonal skills that global competence requires. During maturity through young adulthood and far beyond, individuals further develop critical cross-cultural interpersonal skills after significant life experience. How can we measure global competence in K-12 students? While it may be tempting to try to measure global competence in the primary or middle school years, for the reasons outlined above, it is not appropriate or principled. The youngest students that can be rightfully measured are either graduating 8th graders or rising 9th graders, simply for the purpose of establishing a development baseline before they embark on a globalized secondary education curriculum. Students can be reassessed in 12th grade to determine growth and knowledge acquisition associated with the current curriculum and programming options. Our organization has been asked countless times over the years to create a global competence assessment for K-8 students. For ethical reasons, we have decided that it was not appropriate. As the worldwide standard bearers for the topic, we concluded that if all eight dimensions of “global competence” could not be measured (due to maturity), then we would not be actually measuring “global competence.” Choosing to assess only certain dimensions of the construct is NOT assessing “global competence;” such a subset becomes some other term or idea. Syphoning off only specific dimensions of interest is not only doing a disservice to the term and, therefore, diluting the intention and meaning of “global competence,” but it also causes confusion and conflicts with the needs of downstream stakeholders, such as higher education and the workforce. 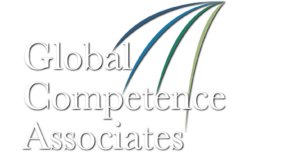 What are global competence assessment Best Practices? In order to achieve success, it is important to develop and formally measure global competence beginning at the secondary educational level, extending into the post-secondary education years, and at key points in one’s professional life. Most institutions evaluate student learning outcomes related to global competence by assessing a control group compared with treatment groups. Another common practice is pre-testing students at the beginning of a curriculum or program, then post-testing students at its conclusion. Such understanding about an individual’s or cohort’s growth towards global competence can assist in identifying areas for personal goal setting and in addressing remaining opportunities for improvement, as well as curricular or programmatic enhancement opportunities.